The Manny Machado sweepstakes are in full swing. It appears that one of the many mystery teams has come forward as well. The San Diego Padres have come forward and thrown their hat in the ring. This according to Kevin Acee of the San Diego Union-Tribune. However, how serious are the Padres in their pursuit? In an earlier article, I stated that Machado is looking for a contract somewhere in the area $325 million range. Although it is unclear what the Padres are offering. You would have to think that it is nowhere near the demands of Manny Machado. Just last year, the Padres signed first baseman, Eric Hosmer to a large free agent contract. Even though the Padres have the Hosmer contract and a plethora of other dead contracts, they could still afford to pay a large amount to Machado. While Machado is younger, having two high paid players may be a tough pill to swallow. Especially given that the San Diego Padres have a tidal wave of young talent waiting in the wings. Adding Manny Machado to the Padres would give them a young, solid core to build around. The Padres already have young stars in Fernando Tatis Jr. and Luis Urias. Throw Machado in the mix along with Hosmer and the San Diego Padres have one of the best infields in Major League Baseball. It also gives them a premium third baseman to build around. The New York Yankees, Chicago White Sox, and Philadelphia Phillies are all teams that are said to be in the sweepstakes. There still may also be a couple of more mystery teams in the mix as well. Given the amount of money that Manny Machado is asking for, it is quite possible that an off the radar team appears as well. 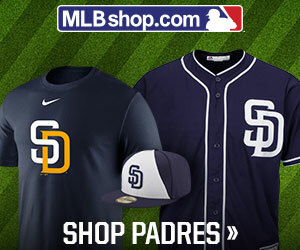 How would you feel if the San Diego Padres signed Manny Machado? Leave a comment below.